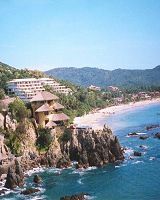 Here you will find listings with reviews for local luxury vacation rental homes, villas, condominiums and bungalows in Zihuatanejo having Web sites or e-mail addresses, and that are located in Zihuatanejo, Mexico or to its immediate south at Playa Larga and Playa Blanca, including Barra de Potosi. 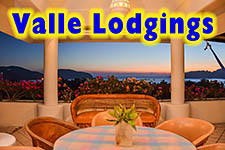 Luxurious 2-bedroom 3-story vacation rental home located atop the small hill at La Madera just steps from the beach with a panoramic view of downtown Zihuatanejo and the bay. Within easy walking distance to downtown restaurants and shopping. Amenities include a rooftop palapa living and dining area, air-conditioned bedrooms, and wireless internet. Luxuriously appointed 2-bedroom vacation rental condominium at the Casa Que Ve Al Mar complex overlooking La Ropa Beach. Includes air conditioning, wireless internet access and maid service. A stunning and luxurious 4-bedroom home with a private pool and spectacular views, conveniently located near the southern end of La Ropa Beach. All bedrooms have A/C and there is daily maid service. 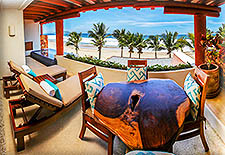 Six luxurious suites located a few steps from the beach at La Ropa Beach. Amenities include A/C, cable TV, Internet connection, kitchenettes, and terraces with living and dining areas. A luxurious 2-bedroom condominium at "La Casa Que Ve Al Mar" complex on the hillside above La Ropa Beach with a spectacular view of Zihuatanejo Bay. Amenities include A/C, large-screen plasma TV, internet, pool, gym, and 24-hour security. Condominium rentals in a quiet garden setting with a pool next to La Madera Beach. 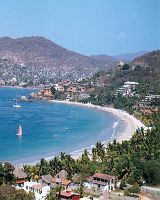 A luxurious 2-bedroom condo at Xiguacán, a gated complex overlooking Playa La Madera on the road to La Ropa in Zihuatanejo. Amenities include A/C, wireless internet, iPod-ready sound system, and HDTV. The complex features a gym, pool and 24-hour security. Exotic, charming 3-bedroom private villa on a jungle-clad hillside just steps above La Ropa Beach with a beautiful view of Zihuatanejo Bay and the twinkling lights of the village at night. This luxurious multilevel house with a pool is located in the coconut grove at La Ropa just a few steps from the beach and features one bedroom suites with A/C and kitchen. 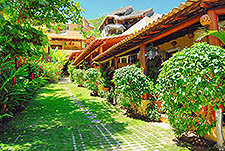 Rent the entire villa or individual suites. 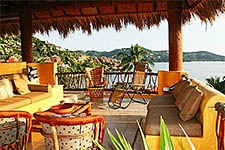 9 luxurious air-conditioned vacation villas above La Ropa Beach with a panoramic view of Zihuatanejo Bay & the Pacific Ocean. Lovely pool and gardens. Private & peaceful.